This week’s question: Who was the last governor to appoint himself to the Senate who went on to win the next election? Last week’s trivia question was: Who was the last adult film actress to not only declare a bid for office but also make it to a primary? The answer? Mimi Miyagi. 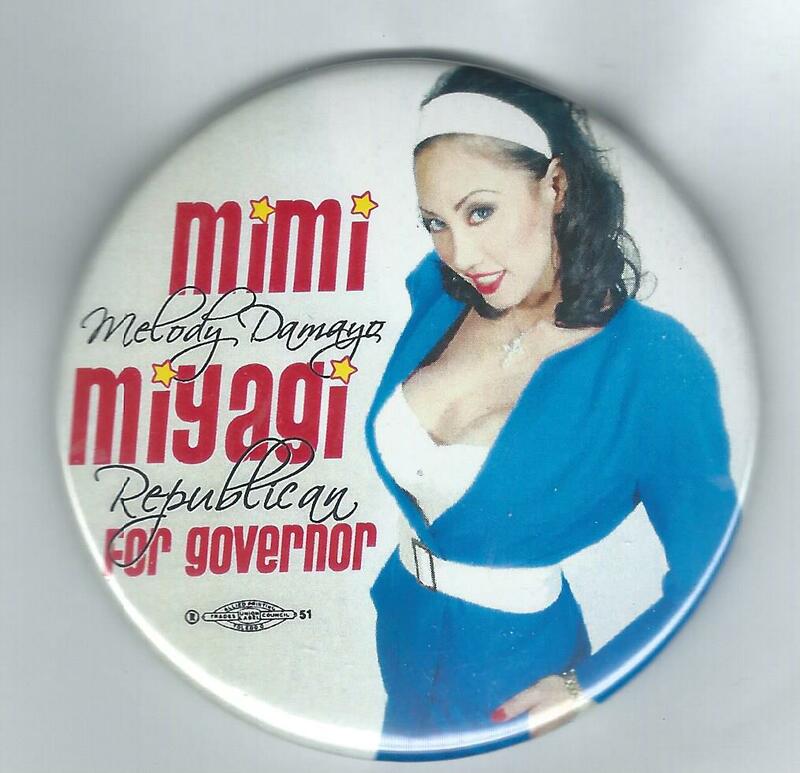 Mimi — real name, Melody Damayo — finished 5th in the 2006 Republican gubernatorial primary in Nevada, losing to eventual gubernor Jim Gibbons. She received a total of 1,651 votes, or less than 1.2 percent of the vote. The winner is Dennis Trotter of Indianapolis, Ind. Dennis wins the coveted Political Junkie button.